We have a full calendar of life skills workshops that we provide to the children we work with. The workshops focus on relevant social issues and aims to be a holistic program that helps our young ones develop both as footballers and as people. We are committed to taking on at least one social issue or life skill topic a month to conduct workshops on at every centre. We use this meeting to kick off our season by engaging with the parents and teachers of the kids we train. During the meeting our coaches will explain the Foundations mission, vision, and goals for the upcoming school year. To create a better understanding of the children’s parents and teachers about the programs we have scheduled for their children throughout the year. And also to get honest feedback from our stakeholders on how we can make the program better. To create a community of supporters who understand how are grassroots program works and the benefits their children will gain from participating in it. Education is the process of facilitating learning, or the acquisition of knowledge, skills, values, beliefs, and habits. Education frequently takes place under the guidance of educators, but learners may also educate themselves. Children who know and understand the importance of education and mentors in their lives. Nutrition is the process of providing or obtaining the food necessary for health and growth. Nutrition is provided to individuals through the food the eat and the diet they set for themselves. To expand on the importance of good nutrition, for the physical development of children and the long term health of us as people. Active citizenship means people getting involved in their local communities and democracy at all levels, from villages to cities to nationwide activity. Active citizenship can be as small as a campaign to clean up your street or as big as educating young people about democratic values, skills and participation. 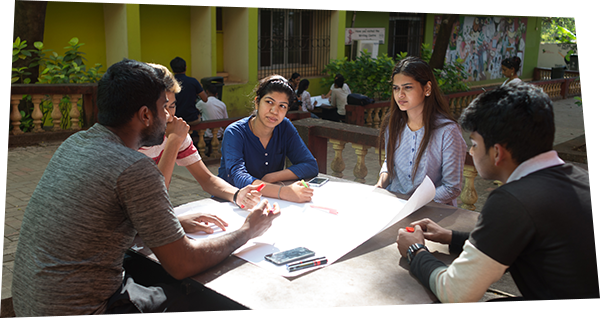 We created this workshop to educate our youth on both their rights and responsibilities as members of the Indian democracy. We want to help the next generation better understand how a democracy works and take responsibility for being active conscious caring members of their community. Children who understand how their local government model works and how they have a voice and thus a right and responsibility within their community will help them become more active community members as they grow up. Waste Management is the processes involved in dealing with the waste created by people, including reduction, handling, processing, storage, recycling, transport, and final disposal of the same. To expand on the importance of a proper waste management, and reinforce our appreciation for our community and the need for us as individuals to help keep it clean. Gender Equality is the state in which an individual's access to rights or opportunities is unaffected by gender. Discrimination against women is predominant and the road to equality between the sexes seems to be a bumpy one. Training children on the importance of gender equality is necessary to create inclusive societies and fight the differences between genders. Children who understand that one’s gender does not limit them from playing sa certain sport, studying a certain subject or applying for a certain job. Water conservation includes all the policies, strategies and activities to sustainably manage the natural resource of fresh water, to protect our environment, and to meet the current and future human demand. Fresh, clean water is a limited resource. While most of the planet is covered in water, it is salt water that can only be consumed by humans and other species after undergoing desalination, which is an expensive process. With the right information and guidance people who have access to fresh water can take steps to limit their use of water to avoid waste. Well informed children and citizens who understand that water is a limited resource and use it conservatively.